The Draw, the quest for The Last Word, went live (for Annual Pass owners) in Destiny 2 with the weekly reset on January 29. To kick things off, you simply need to go and talk to the Drifter. He'll give you a Hive artifact to cleanse, and that means – what else – a grindy quest. We break down the quest below step-by-step, along with some detailed information and guidance for each stage. As Destiny 2 quests go, it's actually not too bad – it's nowhere near as laborious as Sleeper Simulant, as difficult as Whisper of the Worm, or as annoyingly time-gated as Thunderlord. Only the Crucible stage, in which deaths will set your progress back, has proven divisive. The Last Word itself is a returning fan-favourite from Destiny 1. 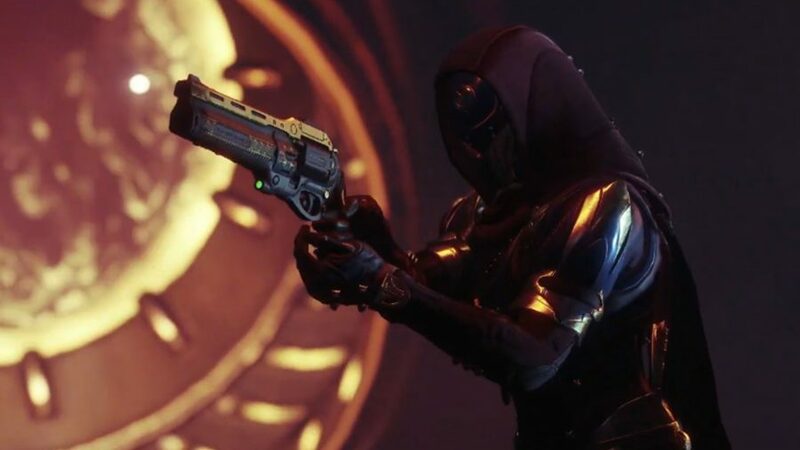 As in that game, it fires faster than any other hand cannon, with faster reload and accuracy on successive hip-fire damage. 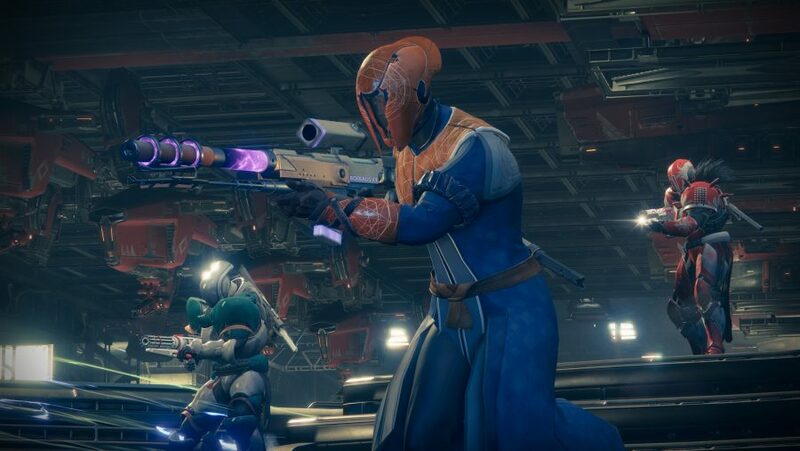 You can see a clip of The Last Word in action here courtesy of Destiny streamer Gigz – in his words, “it's sooo good.” It looks absolutely lethal at close and even medium ranges. Here’s a breakdown of The Draw, with some advice for each stage. Check above for some handy jumplinks if you’re stuck on a particular part. An easy way to do this is equip a Solar subclass and weapons, head to Mars, and start Escalation Protocol. As a horde mode that throws wave after wave of Hive at you, this step shouldn’t take you more than 20 minutes or so, provided you’re in a group that can complete rounds and get those boss kills. Return to the Drifter when you’re done and he’ll give you the next step. Likely to be the most frustrating part of the quest for some, this step sends you into the Crucible to kill Guardians. You need to hit 100%, with kills and assists adding to your score, and deaths subtracting from it. Exactly how much each kill, assist, and death affects your score seems to be a matter of debate at this early stage. Some Redditors suggest the ratio is 2:1, with kills/assists scoring either 1% or 2%, and deaths deducting either 0.5% or 1%. Going on a streak seems to introduce a multiplier, too (there’s precedent for that – a lucky 10-streak took me from around 70% to completing Destiny 1’s Chaperone quest). Basically, stay alive. Play conservatively, with long-ranged weapons, follow your team around, and don’t be ashamed of going for assists rather than kills. If everyone dies and you find yourself exposed, retreat. This step is a pretty simple PvE assignment – you’re off to a Lost Sector on Titan to kill a special Acolyte. Head to Cargo Bay 3. Your target is protected by a shield until you kill the Wizards who are generating it. Simply kill the Wizards, lay into the Acolyte, and repeat when the shield returns. When the Acolyte is down, you’ll acquire a battered old Titan helmet – take it back to Drifter. You can do the PvE elements at the same time by clearing Hive-infested Lost Sectors over and over while waiting for a Witches’ Ritual to pop up. Head to Core Terminus on Mars or back to Cargo Bay 3 on Titan – we recommend the latter. For the Etched Crystals, remember you’re looking for the WANTED boss only. For the larvae, note that precision kills don’t guarantee a larva drop. And for the rituals, remember you want the Heroic version of the event. The Crucible awards Best Served Cold medals for killing someone who recently killed you, and Blood for Blood medals for killing someone who recently killed a teammate. Best bet is to head into a mode with high mortality – like Mayhem – and you should be done fairly quickly. Return to Driftyboi when you are. You’re suffering the Suppressed Light debuff. You can only heal by standing in wells dropped by killed enemies. An Ogre will spawn after enough enemies are dead. It drops a worm when killed – take the worm to the locked door (it’ll explode if you take too long). Kill all three of the Wizards in the next room, and destroy the crystal when they’re dead. Drop down the hole. You’re now in a series of pretty cool standoffs with Enkaar. He can kill you in one shot, but you have a defence – stand on the Hive plates around the room, and a gauge labelled “Steady…” will fill as Enkaar stares you down. When the prompt “Draw!” appears, you’re able to draw The Last Word. Enkaar will now raise his weapon, and it will glow – shoot it before he fires to deal damage (don’t shoot Enkaar himself). You’ll now need to kill a bunch of enemies before the next plate will activate. This time you’ll face off against Enkaar and one of his Acolytes – the process is exactly the same, you just have to be quicker. Fortunately, they’ll only raise their guns one at a time, starting with the one who spawned first. You can kill Enkaar on the third standoff – which spawns two additional Acolytes – and then you’ll finally be given The Last Word. Read more: where can Bungie take Destiny after leaving Activision? Return to the Drifter to complete the quest. Your others rewards are a cheerful reprimand, and a tease about the return of Thorn next season.